This tempered chrome vanadium steel stamp punch has a square shank, 2 3/4 inches long, for easy gripping and it wont roll around. 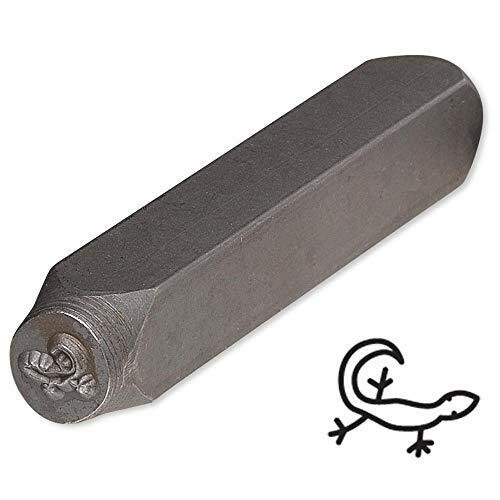 Stamp is tempered to 51-55 HRC rockwell hardness. Can be used to embellish metal, polymer clay, Art Clay®, PMC®, plastics and other materials. View More In Metal Stamping Tools. If you have any questions about this product by Bedazzlinbeads, contact us by completing and submitting the form below. If you are looking for a specif part number, please include it with your message.